"... quite unexpectedly triumphant: quicksilver fast and sparkling with jewel-like clarity ... an outstanding recording ..."
"... beautifully played, brightly sung, sweetly satisfying ... Higginbottom's choir produces some marvellous moments ... (his) direction does not boil with dramatic intensity but instead simmers along with patience, elegant judgement and articulate tastefulness ..."
Handel’s most popular and joyous oratorio, a work of unfailing melodic invention and dramatic expressiveness, has almost become a British national institution, regularly performed by all manner of choirs and orchestras. This 2006 release presents a modern reconstruction of Handel’s unique London performances in 1751, when he used boy treble voices not only for the choruses but for the arias as well. 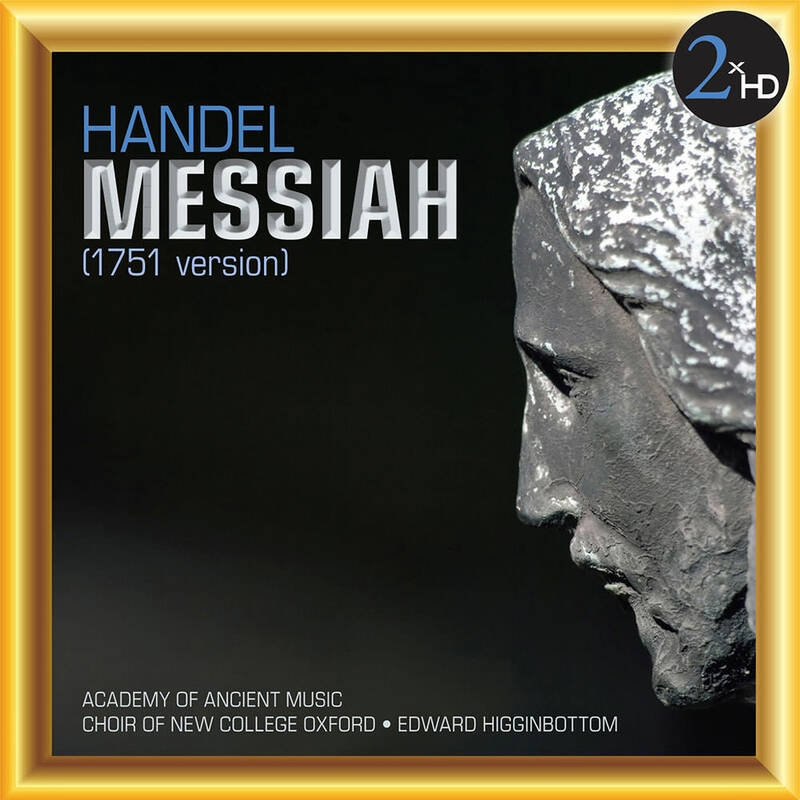 It is a window onto a particular time and place in the history of Handel’s own performances of his masterpiece. Engineer: Jonathan Stokes, Classic Sound Ltd.